APAC Resources Limited (“APAC”) is an established natural resources investment and commodities business company listed on the Hong Kong Stock Exchange (Stock Code: 1104). The Group is an established investment fund and commodity trading house which owns strategic interests in natural resource companies with the main business lines comprising of primary strategic investment, resource investment, and commodity trading business, focused primarily on metals, mining and energy and investment in financial assets. 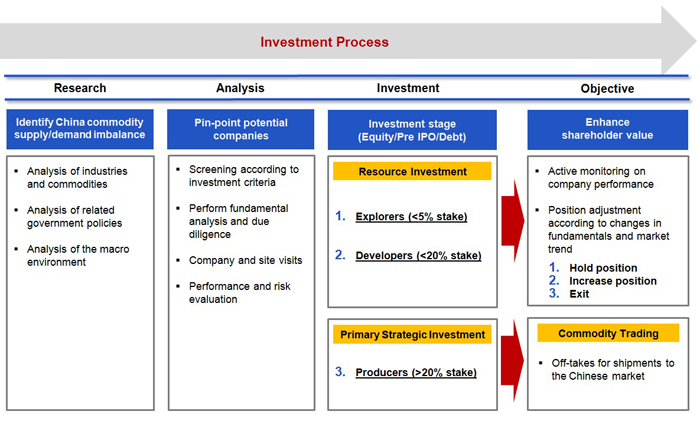 "Our Mission is to Become a Global Natural Resources Conglomerate, with Business Footprints in all aspects of metals, mining and energy"
APAC's strategy is to generate above average returns via identifying and investing in both emerging and producing resource companies that are and have potential to generate long-term sustainable cashflows leading to significant capital appreciation. We invest in what we understand and where our expertise lies – natural resources. Our focus is on China’s demand for resources. We aim to capture the value of our global investments and to build on our investments in minor positions in emerging resource companies to become Primary Strategic Investments which will in time provide us with commodity off-takes to deliver to China via our Commodity Business. Our resource investment approach and commodity business platform bring uniqueness and expertise to Hong Kong. 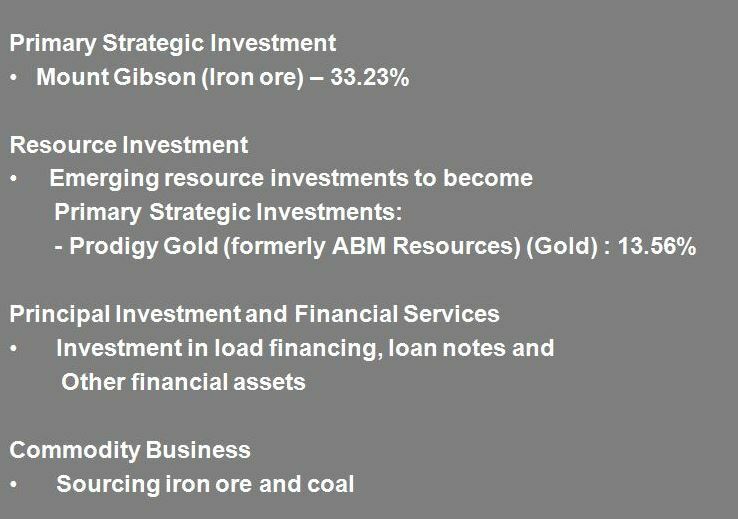 Our Primary Strategic Investments include Mount Gibson Iron Limited (ASX: MGX) which mines iron ore in Western Australia. Other resource investments include Prodigy Gold (formerly ABM Resources) (ASX:PRX) which has 15.7 Mt at 2g/t gold resources in Australia.